Gerald “Jerry” Leon Steinkamp, 62, of Grand Meadow, MN unexpectedly passed away at his home the morning of April 8th, 2019. 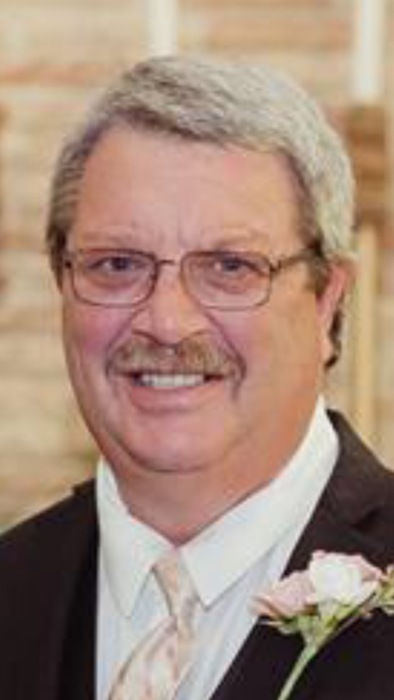 Funeral services for Jerry Steinkamp will be held at 3:00 p.m. on Saturday, April 13, 2019, at Bear Creek Lutheran Church in rural Grand Meadow with Pastor Larry Iverson officiating. Visitation will be held from 2-3 p.m. on Saturday at the church. Hindt Funeral Home of Grand Meadow is assisting the family. Jerry was born on August 8th, 1956 in Carrol, IA to Leon and Dorothy (Klocke) Steinkamp and was the oldest of 8 children, growing up on his family farm near Grand Meadow, MN. Jerry had a playful nature and loved to joke and laugh with everyone who knew him. Jerry grew up playing football, basketball, was an avid bow hunter, and loved fishing in any season. Jerry was a devoted husband, loving father, affectionate grandfather, and dedicated friend. Jerry smartly proposed to Ronda Hovden on their 3rd date and they were married within a year, on August 12th, 1977, which culminated in 4 children and 7 grandchildren. Jerry believed in a strong work ethic, which he passed down to his children. Jerry worked for Kemps of Rochester for 43 years mixing ice cream and working in the lab. Jerry also maintained the family vehicles as well as held another job for most of his life. Although Jerry was driven to provide for his family, he always made time for the important things, whether it was making his kid’s or grandkid’s events or calling his mother and father every night to check in. Jerry had an affinity for games, old movies, and playing with his dog. Jerry is survived by his wife Ronda Steinkamp of Grand Meadow, children Jason (Erica) Steinkamp of Grand Meadow, Jodi (Shawn) Mahon of Rochester, Annie Steinkamp-Stensrud of Rochester, Rosilyn (Violet) Steinkamp of Rochester, 7 grandchildren, parents Leon and Dorothy Steinkamp of Grand Meadow, siblings Keith (Kathy) Steinkamp of Grand Meadow, Pat (Rhea) Steinkamp of LeRoy, David Steinkamp of Grand Meadow, Joanne (Ron) Anderson of Chaska, Robert Steinkamp of Grand Meadow, Jim (Marjean) Steinkamp of Tempe, AZ, Nancy (John) Steinkamp of Middleton, WI, and many nieces, nephews, and cousins.